The meeting was called to discuss management and governance challenges at the Overberg and Mhlathuze Water Boards, but was coupled with the Director General (DG) of the Department of Water and Sanitation (DWS) having to explain his failure to appear before the Committee at the previous meeting. In the event, however, more than two hours was spent trying to establish if a Deputy Director General of the Department was on “special leave” or “suspension,” and the report on the Overberg Water Board was not presented to allow the DWS more time to complete it. The Director General apologised unreservedly for missing the previous meeting, saying that he had delegated a Deputy Director General (DDG) to attend it on his behalf, as he had to attend an important strategic planning session in preparation for a revenue enhancement meeting, as the DWS was owed R9 million by the municipalities. Members expressed disappointment and wanted to know why the DDG had denied acting on behalf of the DG, saying that it had created a lot of confusion. While they accepted the DG’s apology, they cautioned that he should take Parliamentary work seriously and make himself more available. The Deputy Minister was asked to clarify the situation regarding the new acting DDG, as there were many things happening at the DWS of which the Committee was not informed. When they were informed that the DDG could not attend the meeting because he was on ‘,special leave,’ Members asked if the term ‘special leave’ was another word for ‘suspension.’ If the DDG was on suspension, then they should be told so. They accused the DWS of hiding information. The DG responded that ‘special leave’ in this case related to matters concerning consequence management, and once the Department had gone through the process, they would inform the Committee accordingly. Members expressed their frustration at being unable to get the DWS to give a straightforward answer as to whether the DDG had been suspended. They referred to the prevalence of corruption in the Department, as well as at some of the water boards. They remarked that the entire leadership of the DWS had been suspended, and asked what the way forward was. They questioned the ability of the DWS to do its work. The Deputy Minister said that though she understood and had taken note of all the issues raised by the Members, she requested that the Department be allowed to come back with a full organogram which outlined which employees worked where and how they had left the Department.. Governance matters at Mhlathuza Water were discussed, but the DWS said that it needed time to resolve and prepare the Overberg Water Board’s presentation. Mhlathuza’s acting CEO said that following the findings of the Pietermaritzburg High Court, the Minister had upheld the judgment and dissolved the board on 26 April 2016. In the absence of a board, the acting Chief Executive Officer (CEO) of Mhlathuze Water had been appointed as the accounting authority. Members asked the DWS to furnish information regarding the new acting CEO’s contract of employment. They remarked that the process of appointing a new board had taken almost a year and was not regarded as an urgent problem. The former CEO was on paid suspension -- what could be done to control these prolonged paid suspensions, as a new board had been appointed? The Minister’s absence during the Committee meeting was questioned, and Members remarked that it was essential for the Minister of the DWS to be present as she was responsible for appointing the board, and there was no one to hold accountable in her absence. They highlighted that in the judgment presented earlier, it had been stated that the Minister had acted unconstitutionally and beyond her mandate. There were allegations of corruption at most water boards, including the Rand, Umgeni and Amatola water boards, and officials had been suspended. They requested a formal document summoning the Minister, as many issues concerning water boards were damning. Miscellaneous issues raised included community members in the Delareyville area getting sick because of the water quality, and the DWS had to investigate the issue as there was diarrhoea and the hospitals were full. The community in Madidi intended to put up a community-driven water purification system funded by Nedbank. What they made out of it would be ploughed back into the community, and a way forward was needed from the DW. The Committee also discussed its proposed study tour destinations. Mr Dan Mashitisho, Director General (DG): Department of Water and Sanitation (DWS) was requested to explain his failure to appear before the Committee during the previous meeting, at which he had been expected to lead the Department in the presentations because the issues they were dealing with required his level of accountability. He was told that the reason for doing so was not to attack the DG, as the Committee understood that he was still busy trying to ‘find his feet’ in the Department, but was because accountability could not be compromised, especially since the Overberg water board had not submitted its financials for the year 2016/2017. Mr Mashitisho introduced himself to everyone and unreservedly apologised for missing the previous meeting. He said that he had delegated Mr Anil Singh, the Deputy Director General (DDG), to attend the previous meeting on his behalf, as he had to attend an important strategic planning session in preparation for a revenue enhancement meeting the following day, as the DWS was owed R9 million by the municipalities. He again apologised unreservedly for not being available and assured the Members that it would not be repeated. Mr L Basson (DA) demanded an explanation as to why, when asked, Mr Singh had denied acting on behalf of the DG. He further denied that the DG had been delegating, and said the Minister had also confirmed it to be not true. Mr T Makondo (ANC) welcomed the DWS delegation, led by the Deputy Minister, Ms Pam Tshwete. He said he wanted to echo his disappointment with the Department, particularly with the DG for not availing himself to the Portfolio Committee the previous week, especially when they had received mixed and confusing messages. At one point, the Minister had said that the DG would attend the meeting, and then later the DG had an agreement with the Chairperson that he should not come. It had created a lot of confusion, as Members could not even understand what was happening. He emphasised that it should not happen again and that if the DG delegated his duties, it should be made clear. Mr M Galo (AIC) said that they did not want a situation where, as the Portfolio Committee they began to doubt the commitment of the DG in terms of ensuring that the programmes, or what was expected of him to achieve in the Department, ran accordingly. Ms T Baker (DA) asked if any apologies had been received from the Minister. Ms H Kekana (ANC) expressed her disappointment with the DG, and asked why he could not put the Committee first. Mr Basson suggested that in future, should the DG find himself for some reason unable to attend a meeting, he should write a letter to the Chairperson indicating who he would delegate to act on his behalf. The Acting Chairperson agreed that the Committee needed to take note of the manner in which they coordinated their work with the Department, as there should be clear lines of communication. He admitted that even though in the week before there had been a lot of confusion about the apology from the DG, he understood and happily accepted the DGs apology. However, he cautioned that he should take Parliamentary work seriously and make himself more available. Even though the Committee was aware that the Minister was booked off sick, he asked the Deputy Minister to formally confirm the whereabouts of the Minister. The Acting Chairperson asked the meeting to proceed with the agenda, the main issue being that the Overberg Water Board had not submitted its annual financial report for 2016/2017. This had become a serious concern, so the Committee expected the Deputy Minister to explain and clarify why this had been so, as well as find a way forward on the issue. Deputy Minister Tshwete greeted everyone and requested that members from both the Overberg and the Mhlathuze water boards introduce themselves before the Committee. Mr Makondo requested clarity from the Deputy Minister about the new acting DDG, saying there were a lot of things happening in the Department which the Committee was not told about and just read about them in the newspapers. DG Mashitisho responded that the Department normally got someone to help when an employee was unavailable for work, and in this instance the DDG was on a special leave, hence the appointment of an acting DDG. The Acting Chairperson asked if there was an acting DDG. Mr Basson asked if the term ‘special leave’ was also another word for ‘suspension’. The DG replied that the DDG was on ‘special leave,’ not suspension. Ms M Khawula (EFF) asked for an explanation as to why the DDG had been suspended. The Chairperson, Mr M Johnson (ANC), took over the meeting with an apology for being late and explained that a school in the area which he represented had caught fire. It had been so serious that the disaster management unit, together with the army, had to come in. He said that the issues that they were dealing with were important and very serious, as they related to the provision of service. Even though the two entities that were before them that morning were expected to make presentations, he had received an apology from the Deputy Minister with regard to Overberg. Despite the serious issues that needed to be addressed, they had requested that they be allowed to do their presentation on a later date specifically for that item on the agenda, as what they had at hand was not adequate. The Chairperson remarked that it was clear the Department did not want to present before the Committee, as this would further expose them. The Committee was receiving a lot of inconsistencies from the Department, when all that they had to be interested in was finding a way forward, accepting that they would have to establish what had happened and obtain all the details. The other issue that they had to deal with was Mhlathuze, and that their issues were straight forward as it was known that their board had been recently disbanded. Mr Makondo commented that before the Chairperson had taken over, there had been an issue with which he was not satisfied. This was in relation to a DDG in the Department. Even though there was an acting DDG: Cooperate Services, the matter had been clarified, but there was the issue of the DDG: Policy and Regulation, which had not been clarified. It seemed that there was no middle management in the Department. He requested that for clarity as to what the term ‘special leave’ meant, and if the DDG was on suspension, then they should say so. He only wanted to know the status and not all the details. Mr Basson thought that it was very suspicious that the document they had received that week was very different from the one they had been given by the Department the week before. “Who’s hiding what?” he asked. He said that the Department was not open to the Committee when it concerned serious issues. The previous DG in some instances had been serious and open to the Committee about all the Department’s issues, but that was not the case with the current DG. Instead, he gave short answers which were not good enough for the Committee. In agreement with the last speaker, he said that if something was going wrong in the Department and “you give us a smokescreen, everything is fine, but when I try to get hold of the DG, he does not answer my phone or I am referred to the Minister or to speak to another person for information, and I find out that he is actually on suspension, whatever the case maybe, and I get worried”. He suggested that the Department take a decision to be honest to the Committee, otherwise there were other means of dealing with the matter. The Chairperson then asked the whereabouts of the DDG. Mr Mashitisho responded that he was ‘upfront,’ and that as far as he knew the Department never hides information from the Committee, and there was no intention to do so. The DDG was on a special leave, and ‘special leave’ in that case related to matters concerning consequence management. Once they had gone through the process, they would inform the Committee accordingly. Mr Chauke said that the same issue had been raised earlier and he had been under the impression that the DDG had requested to be away for that day only, but now it seemed he was on suspension. He then requested that instead of the Department sending them a letter, they wanted an explanation right there and then. They needed to know what exactly was going on, whether the DDG was on suspension or not. Mr Makondo said that he wondered why the DG had wanted to send an apology in form of a letter when he was actually present. The DG should simply use a verbal expression as a form of apology instead of using a letter. Ms Khawula asked the Deputy Minister if there was a possibility that the DG was being threatened, because he looked like a person who was frightened, and that was maybe why he had decided to write a letter instead. The Chairperson informed the Deputy Minister, the DG and the members of the Department that the Committee Members could ask them any questions, whether they felt they were related or unrelated to the subject. Members of Parliament did their work thoroughly and always researched and got information in many ways, so whenever they asked a specific question, the Department had to respond as honestly as they could. He reminded them that at one point a request for the organogram had also been another ‘loaded’ question, because he would have taken notice of some of the abnormalities in the Department as to who fitted in where. The Deputy Minister, in response to Ms Khawula’s question, said that the DG had never been threatened by anyone in the Department. The accounting officer would answer the questions that had been raised about the DDG. The DG insisted that the DDG had not been suspended, but had been given a certain time frame to prepare his response. Depending on the outcome of that response, the Department would then inform the Committee if he had been suspended or not, though he had reason to believe there had been misconduct on DDG’s side. The Chairperson suggested to the Committee Members that they accept what the DG had told them. After all, they still had another two years with him and the team. The DG had expressed himself before Parliament and stuck to his word, and should there have been false statements, due process would be followed. Mr Basson reminded the meeting that labour law stipulated that one must first write a letter to the DDG informing him of the intention to have him suspended, then seven days’ notice would be to given to him to give reason as to why he should not be suspended. He gave an example of a court case involving a colleague, where the municipality had given him a special leave and the court ruling had gone against the municipality, because giving a person special leave was not permitted by law. He warned that if the DDG took the Department to court for putting him on special leave, he would win that case and that they were not following the correct procedure. Ms N Bilankulu (ANC) commented that it seemed the DG had a problem in giving the Committee answers. She felt the Department could not run efficiently with issues like that, and that they were not being professional. If the Committee sought clarity from the Department, they had to receive straight forward answers. Whether the DG told them special leave or suspension, it would still remain a suspension, so why was he hiding it? The previous week, they had had to postpone a meeting because of the DG, and even though he had apologised, he was still failing to explain a simple thing. The DG did not take the Committee seriously, and should realise that Members were not there to make friends, but to work. Mr Chauke asked to see the letter that had been served to Mr Singh immediately. Gradually the Department was collapsing. It was clear that the Department was corrupt, and they had entrusted them with almost R15 billion of public money. This was serious enough for them to need to discuss what happened when a Department did not have senior management which could be accountable. Eventually they would have to sit down as a Committee to reflect and then take a position. If there was a need for an intervention, then the Treasury or the Auditor General would be involved. Even though they still had two years with the DG, there were answers which were required immediately and not in two years’ time. Mr Makondo said that even though he understood that the DG was ‘standing by his word,’ he requested that the acting DDG: Corporate Services explain to the Committee what that meant, because he thought ‘precautionary suspension’ was for disciplinary purposes. It was an interim measure for administrative purposes, and what they had at hand seemed like a suspension because Mr Singh had not applied for a leave, the employer had given him a leave. There he was asking the acting DDG: Corporate Services to explain and prove him wrong if he could. He agreed with his colleagues that there was a problem in the Department. If the Portfolio Committee did not act, they would be blamed for it. Ms Kekana said she thought it would be unfair to leave some questions hanging, as the Deputy Minister had also said the DG should give full answers. How much longer they would have to wait for answers from the DG? They needed to progress, so the DG must answer them that very day. Ms Baker requested clarity on how the previous Acting DDG had resigned. The Chairperson advised the Deputy Minister that the Committee Members had thoroughly researched their work, and obtained information in many ways. Over and above that, they were learned and had experience. He asked if the DG or the Acting DDG had anything to say regarding the questions raised. 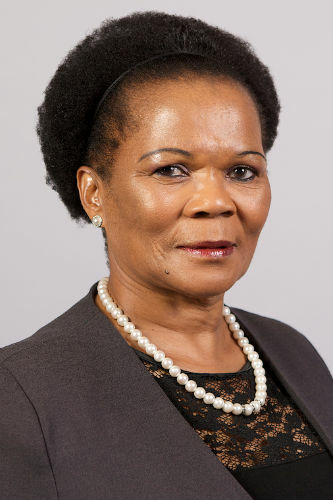 The Deputy Minister said that though she supported the Committee and had noted all the issues raised by the Members, she requested that the Committee allow the Department to come back with a full organogram of the DWA which outlined which employee worked where and how they had left the Department. She did not want to undermine the Committee’s decision to get answers, but felt it would be best if that was done when they had a full organogram, instead of presenting it piece by piece. Mr Basson exclaimed that with all due respect to the Deputy Minister, he did not buy what they were being told. He knew that it was the Minister’s advisers who had now advised them to postpone. It had been a simple question that required a simple answer – the Committee was ‘not asking for rocket science here!’ They required clarity on only two individuals, why one had resigned and why the other had been suspended. He added that he did not have the time to be coming back and forth to a Department that was not functioning. They either gave them answers, or he would leave. He suggested that they adjourn the meeting for a couple of minutes to give the Department some time to prepare themselves and to get the required documents. The meeting took a 15-minute break, as proposed by Mr Basson. When it continued, Mr Chauke suggested that they deal with the issues that had led to the 15-minute break. Issues concerning the line function of the DG were very central and needed to be addressed before proceeding. Mr Mashitisho responded that they had emailed the DDG during the break in order for him to confirm his suspension. The DDG had rplied to the email request by stating that he required 14 days. The DG remarked that he was withholding the full details of the DDGs disciplinary procedures due to the sensitive nature of the matter, as he did not want the media to get hold of such sensitive details. The Chairperson asked Mr Mashitisho to give direct confirmation as to whether the DDG was suspended. Mr Mashitisho responded that he had not suspended the DDG, and that he had made a statement to the Standing Committee on Public Accounts (Scopa). He said that this was a critical question. Mr Chauke raised a point of order. He said that the DG must be straight forward and respond to the questions raised to him directly. The Committee was not a “bunch of school kids playing games.” He said that the DG must just answer ‘yes’ or ‘no’ to the question as to whether Mr Singh was suspended. He was coming up with another story which had not been discussed. The DG had been asked a very simple question, yet he was failing to respond. Mr Basson said that the DG had been asked a ‘yes or no’ question. Ms Khawula said that the DG was wasting the Committee’s time, had to explain to the Committee whether Mr Singh was suspended or not. She asked why the Committee was being deprived of information, as they were informed only after issues had occurred. Ms Kekana said that they had been disappointed at the previous meeting by the DG’s absence, and said that the DG should respond to the questions posed to him. Mr Basson said that the Committee had been disappointed and embarrassed at the Scopa meeting. He would never be embarrassed by the DWS at Scopa again, as they should they act together. He said the he was “gatvol,’’ as they had not received any cooperation from the DWS, and this would leave them with no choice but to establish an ad hoc committee. The Deputy Minister said that she was afraid to talk, as she was worried about the tension. She made a plea to the Committee to consider the two entities which had flown in. Regarding an earlier question as to who ‘Steven’ was, she could not immediately recall. She accepted that the DWS had challenges and requested a separate meeting at which the DWS would present an organogram showing who held which position, how and why they left. Mr Chauke asked the DWS to explain the document that was tabled before the Committee. The DG explained the letter by quoting from it. He said that the letter was captioned ‘Notice of Intention to Suspend.’ He read out paragraph 8 which stated that: “you are hereby instructed to leave the premises of the DWS immediately upon receipt of this letter, wherein you are accorded an opportunity to advance suitable reasons as indicated in paragraph 7 above as to why the DWS should not put you on precautionary suspension with full pay or consider disciplinary action against you for misconduct as indicated above’’…. He said that the letter had been issued on 9 June 2017 and Mr Singh had signed it on 11 June 2017. Mr Mashitisho said that the letter only implied an intention to suspend, and did not imply an actual suspension. He said that the spirit of the letter showed that it was not a suspension, but an intention. Mr Singh had responded to this suspension letter, stating that he required 14 days to prepare the response as requested in the suspension letter. However, he had not had a detailed look at Mr Singh’s letter. The Chairperson said that the Committee now had full information concerning the DDG’s suspension, and the challenge was whether the Committee itself was going to be found conducting that disciplinary session. They now had an answer as to why Mr Singh was on suspension, and the way forward had to be looked at. He said that the Committee must guard itself against going into the details of what they had before them. Their question had been about the status of the DDG, about which they had been informed. Mr Makondo said it was a pity that the Committee had spent two and a half hours on an issue regarding officials who could not understand letters that they wrote on a daily basis. He asked what recourse they had over such officials who could not tell the truth, nor respond to questions they were asked. Ms Khawula asked if the DG was aware of his mistake, because he had wasted the Committee’s time. Mr Basson said that you could not send out letters which one could not deal with, and the person who had signed that letter should be responsible for fruitless expenditure. Mr Singh should have been at work, but he could not be because he had been suspended. He indicated that if the DG had signed the letter, then he should be responsible for fruitless expenditure and that would be taken up with the Auditor General. The Committee had wasted two hours on a question that required 30 seconds to answer. The Chairperson said that they had a situation, as matters that could have taken a minute had taken them so long. He also cautioned the Members to keep the details of the suspension to themselves in order to protect the individual concerned, as the information would leak and the person concerned would be compromised. Mr Chauke remarked that the entire leadership of the DWS had been suspended, and asked what the way forward was. He questioned the ability of the DWS to do its work. The Committee needed to reflect on this matter. The Chairperson said that the issues raised would be taken forward at a later stage. The Chairperson said that the Committee should move on to the issues concerning the reports from the entities. Mr Basson suggested that Overberg Water Board should not present their report, but present a summary of the challenges they were facing. Mr Chauke said that in terms of the lines of accountability, Overberg reported to the Minister and was accountable to Parliament. They had expected the DWS, together with Overberg, to present a report to the Committee. The failure of Overberg to submit their annual report was taken seriously. Mr Basson said that the DWS had had seven days to prepare, and he was not happy to postpone the matter. Overberg should present its report. Ms Baker agreed that Overberg should present its report. The DG said that Mhlathuze was ready to present their report. Mr Mthokozisi Duze, Acting CEO: Mhlathuze Water Board, said that following the findings of the Pietermaritzburg High Court, the Minister had upheld the judgment and dissolved the Board of Mhlathuze Water on 26 April 2016. 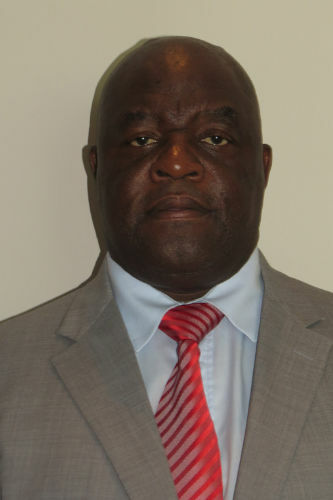 In the absence of a board for Mhlathuze Water, the acting CEO, Mr Duze had been appointed as the accounting authority. The suspended CEO, Mr Atwell Sibusiso Makhanya, had been suspended by the previous board of Mhlathuze Water. The new board would pass a resolution regarding the instituting of disciplinary charges against Mr Makhanya. The call for nominations for the appointment of new members to serve on the board of Mhlathuze Water had been advertised in the Sunday Times and the Zululand Observer on 30 April 2017, and the closing date for the applications had been 15 May 2017. The Department was in the process of appointing a new board. Mr Duze said that the high court ruling was currently being appealed by Mr Makhanya. The matter had been taken on review and the original ruling had been upheld. Mr Chauke asked the DWS to furnish information regarding the new acting CEO’s contract of employment. Mr Makondo said that the process of appointing a new board took almost a year, and that could not be an urgent problem. The former CEO was on paid suspension -- what could be done to control these prolonged paid suspensions, with a new board being appointed? Ms Baker said that in the original ruling, the suspension had been set aside and ENS, the law firm handling the case, had been mandated to submit a report. She asked if that report had been compiled. The fact that the DWS could not answer the one simple question posed earlier showed that there was something seriously wrong in the Department. It was essential for the Minister of the DWS to be present in the Committee to account, as she was responsible for appointing the board and there was no one to hold accountable in her absence. In the judgement presented earlier, it had been stated that the Minister had acted unconstitutionally and out of mandate. There were allegations of corruption in most water boards, including Rand Water, Umgeni Water and Amatola Water, and officials had been suspended. She asked where the Minister was, as she needed to account for all of these issues, and indicate what action she had taken to resolve them. She requested that an official document summoning the Minister be issued. She said many of the issues concerning water boards were damning. Ms Khawula drew the attention of the Chairperson to a lady in the Department whose hand had been raised for quite a while, and suggested that maybe she also had something to say. It seemed there was a hiring and firing game at Mhlathuze, as a lot of people had been suspended. For example, there was Mr Makhanya, yet the Committee had never been given the full details of what had led to his suspension. The Department was supposed to have informed them immediately when they started experiencing problems with him, and the Committee would also have given their input on the matter, rather than just being informed them after a decision had been made. Deputy Minister Tshwete agreed with most of what Mr Chauke had suggested. In response to the issues raised, she informed the Committee that all the water boards were under Mr Anil Singh, and he was the one responsible for all the challenges and issues with the water boards. The Minister could be blamed, because she was the Head of the Department, but all DDGs also had to do their work. It was clear that some of them were not hands on with what was happening, including Mr Singh, but they should not blame the Minister. Much as she did not want to talk about Mr Singh in his absence, because he was not present to defend himself, she also felt that they should not talk about the Minister since she was also not present to answer for herself. Ms Baker said that no one was blaming the Minister, but the Act stipulated that the Minister was responsible for the appointment of a water entity’s board, and the Act also specifically stated the maximum period of the time the board was permitted to sit, and that had been breached. There had also been a court ruling with regard to the remuneration of the DMAs water boards’ members, and while she was not defending anyone, the policy clearly stated that the Minister, in consultation with the Finance Minister, determined the remuneration. “Ultimately the bus stops with the Minister,” she said, and it was her job to do the oversight and hold the accountable person accountable. Mr Duze acknowledged what Mr Chauke had said with regard to the court judgment, and though it was available immediately it was wise that they hand it over to the legal advisers for interpretation. It could have been because of the judgment that the Minister had dissolved or suspended the board, because by end of May they would have gone beyond the 180 days prescribed by Judge Mbatha in her judgment. It they got an interpretation from the legal team, the matter would then be put to rest. The Chairperson requested that copies of the judgment be distributed to the Committee Members. Mr Makondo disagreed with the issue the Deputy Minister had raised that the Portfolio Committee should not about the people who were not present at the meeting. It did not sound right, especially if the executive accounted to Parliament. If they could not talk about them, then they should resign from the job. Mr Basson also differed with what the Deputy Minister had said. The Minister had said she had a discussion with the DDGs about them not doing their work, and that was what the Committee had been saying all along. However, the DG was the one responsible, not the DDGs -- they accounted to him, and he reported to the Minister. It was time the DG stopped shifting the blame to his Department and took responsibility also. If the job was too hard for the DG, then he should resign from it. Mr Chauke said the reason why the Committee insisted on the DG to being present was because they wanted him to speak on issues relating to the lines of accountability and administration. He suggested that they allow the DGs and the Department to respond to the issues. The court judgment had to be formally tabled to the Chairperson and signed by the DG of the Department, and thereafter they would be submitted formally to the legal department for interpretation. He suggested that the reports which they had received earlier from the Department be taken back, since they were of no use anymore. He requested that the Department formally table their documents to the Chairperson for reasons of accountability, and advised that as a Committee they needed to be more procedural in the manner in which they dealt with the Department. He also remarked that the Deputy Minister may speak on the Department’s issues, but they had to take note that she was not responsible for the board, and hence the Committee had to protect her on matters she was not responsible for. Ms Khawula remarked that there was a financial situation regarding the delegates from the entities who did not have funds to attend the Committee meetings. The Chairperson raised a point of order against the Deputy Minister. He told her that Members of the Committee had the right to discuss any person, whether present or absent, in a Committee meeting as this was within their powers. The Deputy Minister stated that she had noted and accepted the point raised by the Chairperson. Mr Chauke said that he had not received a response from the DWS regarding the court judgment. He requested a copy of the new Acting CEO’s contract of employment. The Chairperson said that the issues regarding the court judgment and the contract of employment were straight forward, so they needed the copies to be furnished. He also told Ms Khawula that the issues of suspensions were internal and the results would be furnished after the conclusion of the processes. He said that the DG would furnish such correspondence. Mr Basson said about the situation if an acting board had been appointed and a municipality was placed under administration, and the functions of the board were taken over by an administrator. He asked if that raised a challenge when there was an acting CEO and an administrator at the same time. Mr Chauke said that the way the DWS dealt with problems showed no urgency. The acting CEO had been there for some time. He asked if the DWS had legal services available, because within ten days, the Committee needed to receive a contract of employment because it was very clear that at the moment, no contract was available. Mr Makondo said that when the acting CEO was appointed by the board, surely he must have signed a document. He asked if the acting CEO had a contract with the previous board. The DG said that the Minister was mandated to exercise the powers and functions of the board, in the absence of the board. Ms Khawula said that the DG had been duly appointed for five years, and his job was to deliver. She said that the DG was “crazy,” and that he deserved to work as a pastor. The Chairperson commentated that the officials of the DWS were equal human beings and needed encouragement, as the objective of the Committee and DWS was the same -- to better the lives of the people. The Committee could only go so far when it did its oversight work. He called for people to support each other as they moved forward in doing their work. He asked the Committee to be equally sensitive. Mr Chauke said that Ms Khawula should withdraw her earlier comment regarding the DG. The Chairperson asked Ms Khawula to withdraw her earlier comment concerning the DG. He said that people should not pull each other down. Ms Khawula refused to withdraw her statement. She said that the DG deserved to be a pastor, which was also a good job, because working in Parliament meant that the DG was dealing with politicians who needed answers, yet the DG was failing to respond to the questions. The Chairperson said that they were not in the National Assembly but in a Committee meeting instead, which was prepared, focused and well researched. The Committee would end up entangled for no apparent reason. The statements and expressions made by Ms Khawula were quite unfortunate, as the Committee had a mission to form a partnership with the DWS, and inviting the DWS was for the sake of bettering the lives of ordinary people. No one in the Committee had a different objective except that one, and that was what bound them together. The Chairperson apologised to the DG on behalf of the Committee. He said that the Committee would receive all written submissions as requested the following week, namely the contract of employment for the acting CEO and the court judgment. Deputy Minister Tshwete commented that when it came to the DWS in the Committee, as much as they showed the Members respect, the Department expected to receive that same level of respect. Most officials from the Department were young and respected the Members. It was unfortunate when it came to the DG being disrespected before the young officials in his Department. The Chairperson said that the point was made that the Committee should try and avoid abusing the officials, even though the Minister was not present. He said that some of the officials were not doing their work as expected, while at the same time there were some who were doing a very good job. He said that painting them with one brush would demoralise them. The Committee had one objective, which was to work as partners, and that they were honestly making progress. Ms Kekana said that the Committee and the DWS were there to work together, but the Committee was there to get answers from the DWS. Mr Chauke said that he agreed that the Committee and DWS were there to work together. Mr Basson said that the DG had indicated that he was ready to give the presentation about Overberg and if they needed to make changes they could. They should start with the process, as this was the second time the presentation had not been presented. Ms Bilankulu said that the Deputy Minister had said the DWS needed some time, and if it needed time to go back it meant something was not right. The DWS had previously also asked for some time to present the report. She suggested that the DWS be given time for the next presentation, and if there were any questions, Members would still go ahead and ask. She requested that the DWS be given time to prepare. The Deputy Minister apologised to the Committee for failing to achieve the oversight, as they had to deal with the Office of the President. She said that they had not seen the report, but would be prepared for the next meeting. The Chairperson said that the Department would be required to address the Committee regarding the Irrigation Board at the next meeting. The Chairperson said that the Committee needed to engage on its plans for a study tour. The Parliamentary researcher said that regarding the study tour, a number of countries had been considered, including Argentina. The purpose of the study tour was to empower Members in order to enhance their knowledge and expertise so they could perform optimally when conducting oversight. It would also provide insight in new developments and innovation, particularly new technology in water treatment. Countries like the Netherlands were excelling in that area. Countries that excelled in access to water included Argentina, hence they intended to visit that country and establish how they were doing it in order to adapt their ways to South Africa. The Netherlands, Sweden, Italy and Argentina had been identified, so they needed to decide on which country they would finally visit. The Chairperson said that Argentina had been mentioned because the availability of northern hemisphere countries during that period was an issue, as they would be on vacation. The initial proposal had been to identify economies that were about the same as South Africa. Ms Baker said that the European countries had recently had elections, and the Netherlands coalition government had not yet been formed. Mr Basson suggested that the study tour should take into consideration all the Members of other parties, not just a selected few, because nobody learned this way. He knew it cost a lot of money but studying, should be fruitful. The Chairperson said that Parliament tended to be too bureaucratic. Mr Basson raised some issues which he had received from Delareyville. The people in the area were getting sick because of the water. He asked the DWS to investigate the issue, as there was diarrhoea and the hospitals were full. He had had a discussion with the DG and Minister about the issue in March, and the Minister had instructed the DG to act immediately. Unfortunately, it was June and no action had been taken concerning the dam. A plan had been given and the DWS had not acted, yet people needed to drink from that water. They needed intervention. He then said he had a discussion about the community in Madidi, which wanted to put up a community-driven water purification system and did not need funding from the DWS. The project would be funded by Nedbank and what they made out of it would be ploughed back into the community, and a way forward was needed from the DWS. He asked what the way forward was for a community that wanted clean water by initiating its own private project. The Chairperson said that the Mayor of Madibeng had had a discussion with him regarding this matter and the Mayor had said that the water had to be treated at twice the budgeted cost. This had impacted negatively on the municipality. Ms Khawula highlighted that in Eastern Cape, in an area called Lady Frere, there was a shortage of water and people were drinking stagnant water. There was also an area called Maqadini in Durban were there was a shortage of water. The Deputy Minister said Mr Basson had informed her of the water problems. She would call the Provincial Director in the Eastern Cape and would get back to Ms Khawula. The Chairperson in his concluding remarks commented that they would appreciate it if they got such feedback, as such issues affecting various constituencies had been raised in the past, yet no positive feedback had been received. Officials only made notes and never returned to the Committee with feedback.